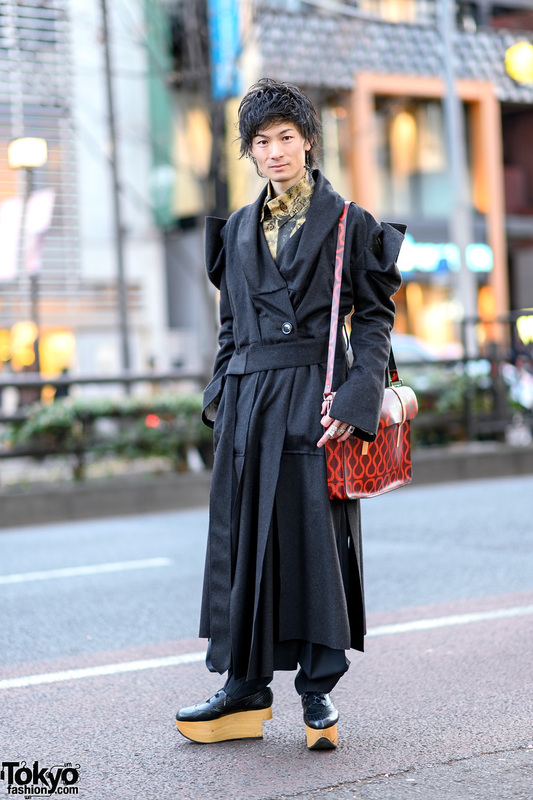 Japanese white-haired student sporting a striped black-and-white suit, graphic print shirt, Nike mesh sneakers and a geometric print clutch bag. 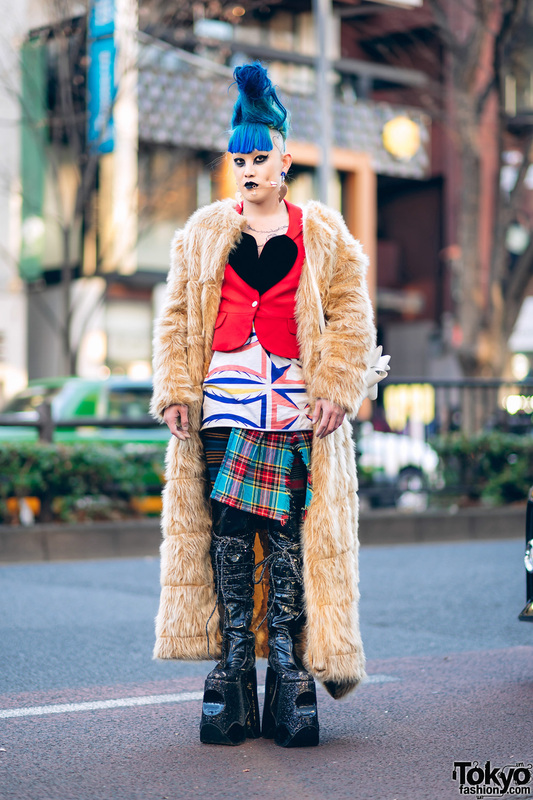 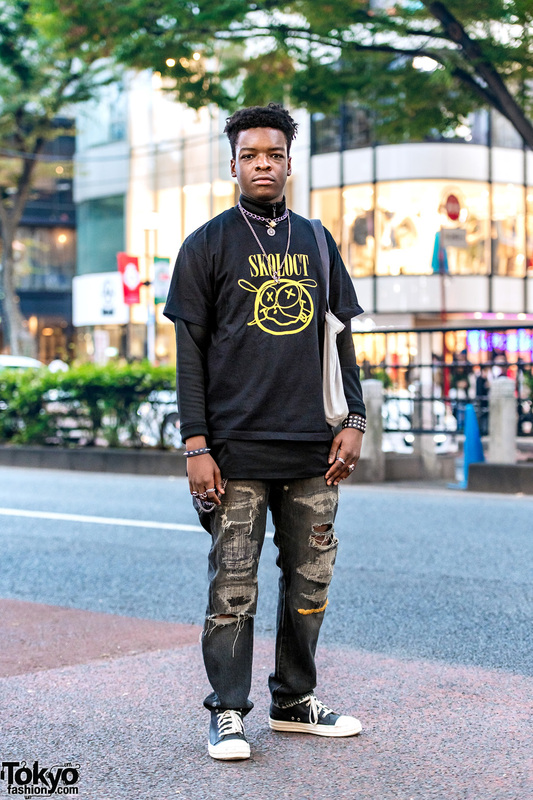 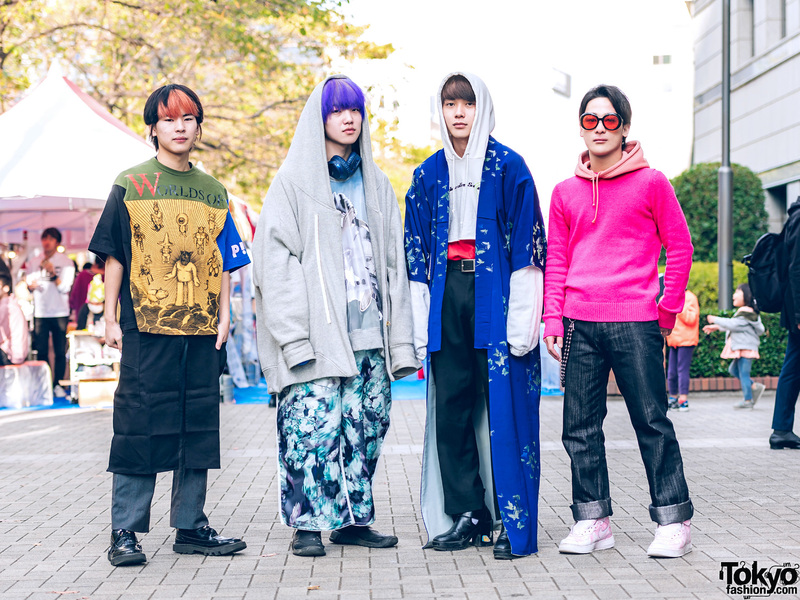 Vivienne Westwood head-to-toe style by popular Harajuku streetwear personality. 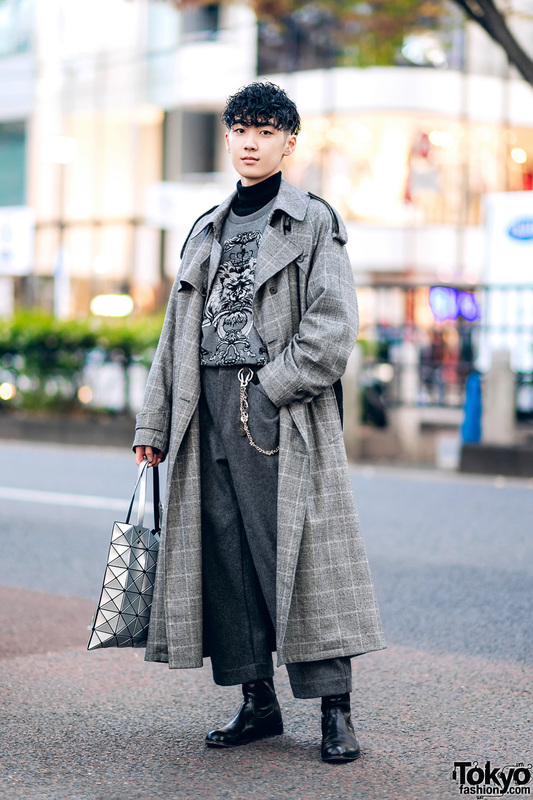 Stylish Harajuku student sporting a monochrome menswear street style while out and about on the street.